"Not to accept injustice as a foregone conclusion, but to give, sacrificially as it may be, with hope and with courage, so that others may be set free"
Last week, we began considering the often-missed opening of the Exodus story, where two courageous midwives overcome fear and choose to seek justice in their work-place. They are the first to stand up against a whole regime of injustice and oppression, and are unsung heroes in my eyes. If you missed it, do check it out here. If Shiphrah and Puah are first in the story to establish this pattern of seeking justice where they are, it is a pattern picked up in the next chapter by another courageous woman. In Exodus chapter 2, we see Moses’ Mum- whose name we don’t even know yet- acting sacrificially and with great faith in a complex plot to seek justice and to save her son’s life. If you have a Bible to hand, give it a read- what do you notice about her actions and her heart? I wonder what it would have been like for her? I imagine her, day after day, holding her new born close to her, her heart beating fast every time he cries. Imagine her willing him to be silent, praying every time he starts crying that no one will hear. Imagine it: she has the windows blacked out, the door always shut- it is suffocatingly hot in the heat of the day. Every time she hears footsteps outside the door imagine the frantic panic she would have been in, desperate that today isn’t the day that she is to be discovered, that today wouldn’t be the day her son is murdered before her eyes. “She couldn’t hide him any longer." It’s at this point that she puts him in a basket, coated to protect it from the water, along the river Nile. Now I have no idea what it must mean for a parent to give up their own child: for a mother to lay down her own dreams of keeping him safe- in the faith that he will live. I am overwhelmed by the secret sacrifice made here: Moses’ mother knew that there was nothing more she could do to save him herself, but to trust God with what she had been given. Her actions present a challenge to us: not to accept injustice as a foregone conclusion, but to give, sacrificially as it may be, with hope and with courage, so that others may be set free. In the hope that restoration will come. In the knowledge that what we have in our hands is God’s anyway. If Shiphrah and Puah made courageous choices to bring justice, then Moses’ mother gave sacrificially to bring justice. Sometimes being ‘just’ where we are might cost us. It might cost us time, money, or even our reputation. For Moses’ mother, the cost was unbelievably high. But through the baby in the basket, God was able to demonstrate His love for a tiny baby and his family; His passion for the nations; His desire to set His people free. Today, let’s consider what God is asking us to give as we pursue of Justice. Let’s rest safe in the knowledge that He can do miraculous things when we place what we have in His hands. Check out Foli’s story: his rescue from slavery was made possible because the IJM family around the world gave sacrificially to make sure he was found, rescued and looked after. IJM UK is a global organization, who find and rescue victims of modern slavery. They work to see justice systems repaired and the global poor protected. Check out www.ijmuk.org to get involved or to give towards the work of freedom! 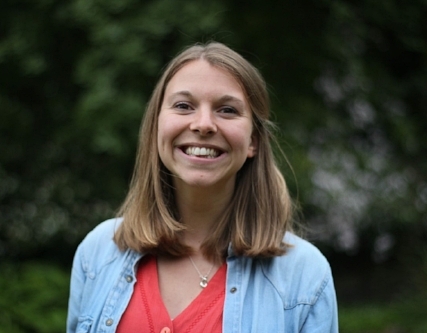 Esther studied at Durham University, before spending some time in teaching, and most recently working for the International Justice Mission. She is married to Tom and lives in the North East.